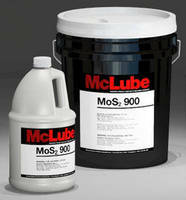 The McLube Division of McGee Industries, Inc. maker of “McLube” and “MAC” mold release agents, anti-tacks, and specialty lubricants has developed a flow promoter and surface enhancer in-one to meet the challenges of today's rotational molded processes and materials. Through our research and in cooperation with our customers, we have developed this coating to apply over existing release coatings in difficult areas to enhance penetration and release of the compound. Addressing key concerns within the industry, including gloss, improved part appearance, eliminating pin holes, reducing pock marks, and multiple pulls per application. To be convinced of the benefits of McLube, we suggest you evaluate the appropriate product under your particular production conditions. Evaluation samples and technical assistance as well as custom formulations that suggest themselves to meet critical application problems are available on request. Click here to get your free sample product for evaluation. Or call: 1-800-2-MCLUBE (1-800-262-5823). Aston, PA 19014 McLube Division McGee Industries, Inc.